The Root of It Commentary: HIPPA – XP – Cyber Attacks – What’s Next? The Dentrix Office Manager Blog:Opting out of virtual credit card insurance payments! Metropolitan Association of Dental Office Managers: Join the First North Jersey Dentrix/EZDental Forum – June 13th! Dentistry Beyond the Mouth:TMD Wears Many Masks! This Week in Dentistry:AAE introduces root canal safety Web page! The Henry Schein Outlet Store: Tuttnauer 2340M! The Root of It Commentary………………………………………………………………………………..
HIPPA – XP – Cyber Attacks – What’s Next? Defense! On April 8, 2014, Microsoft announced thatthey would no longer support the Windows XP operating system. Well, that doesn’t really seem like a big deal being as there are countless numbers of organizations that support and repair the program. However, nobody will be investing in creating antidotes for any new software viruses or fire walls that will block cyber threats. Cyber-attacks are real and in the 2014 age of cyber-space it is imperative to guard your network as closely as you guard your personal finances. Most of the dental offices I work with never inspect the integrity of their electronic and digital networks; it is always an “out-of-sight” concern. However, you do have your accountant inspects your books and your mechanic check your oil & brakes so maybe it is time to take a close look at the systems that organize and manage so much of your professional life. There is no doubt that Microsoft’s XP Operating Platform is today’s greatest concern for most of us. XP was an excellent system, however, without support from Microsoft the system is considered non-compliant with regards to HIPPA. Now add the fact that employee personal information as well as yours is exposed. Today, dental offices should be running a Windows 7 Operating System. If just one of your work stations is still in the XP format, it creates a backdoor into your system and you should address the issue. Also, regardless of who your IT Group is, you should always have your network inspected by a neutral party and have them develop a “treatment plan” for your consideration with regard to any issues they find. That plan can then be reviewed with your IT Group to determine if any actions need to be taken. Digital security is extremely important as we advance further into the ACA & NHII. In the near future, insurance companies will require you to have safeguards or your electronic claims may delayed or rejected. Temporomandibular Disorder is known in some professional circles as “The Great Imposter.” Symptoms crossover into territories that lead patients to medical specialists in several disciplines. TMD patients my see chiropractors and physical therapists for joint and muscle pain in areas surrounding the bilateral joint, as well as for tension at the base of the neck. Also, these patients often fill the waiting rooms of ENTs, neurologists, and emergency rooms for symptoms which unsuspectingly originate from TMD. Unpleasant conditions such as migraines, ear pressure or ringing, vertigo, and lower back pain are common in these patients. In the case of ear problems and dizziness, the compression of the condyles into the external auditory meatus impinges upon the Eustachian tube and Cranial Nerve VIII (controlling balance and hearing) – both running in close approximation to the superior head of the mandibular condyle. Specialists may search for sinus problems and infections, when the issue is actually an anatomical one related to the joint and associated muscles and soft tissues. Proper Education and Dialogue with Physicians is Key. Knowing the source of an infection is the key to eliminating it. Likewise, when TMD is the source of symptoms (regardless of presentation or to which specialist they are presented) successful treatment requires accurate diagnosis and treatment by a qualified team of health professionals led by a dentist trained in TMD. To this end, dentists should seek higher education as to the cause-effects of TMD and be capable of identifying TMD, and either provide proper care or make appropriate referral to someone who can. Many continuing education learning centers for advanced dentistry have courses specializing in occlusion and TMD therapy. Additionally, given the many parts of the body affected by TMD and the health disciplines involved in those areas, it is important for dentists and physicians and related health professionals to communicate with each other regarding their patients who present with and suffer from these conditions. By working to balance the joints and musculature in the cranio mandibular complex, we can unmask the Great Imposter which sends patients through a labyrinth of physician and emergency hospital visits. Opting out of virtual credit card insurance payments! The issue of using a virtual credit card for insurance payments has not only become a frustrating situation for the dental practice, but also costs the office money they don’t need to be spending. My friend and colleague, Jennifer Schultz, who is owner of The Virtual Dental Office Manager, is also having the same issues with her offices. She recently wrote an article on the same topic, CLICK HERE to read it. Friday morning, June 13th, M.A.D.O.M. will be hosting the first North Jersey Dentrix/EZDental Forum @ Vizstara in Englewood Cliffs, NJ. Enjoy breakfast and introductions from 9:00 AM to 9:45 AM and an incredibly informative session from 9:45 to 12:00 Noon. $49.00/person – $39.00 for additional team members. 2 Credits in continuing education. The summer session is being hosted by Asteto Dent Lab on Sunday, July 27th. The day will start at 9:00 AM at the Weehawken Sheraton with a 2 part, 2 hour seminar on the Social Media and how to correctly analyze your production utilizing your software data. Then at 11:3, we’re boarding The Spirit of NJ for a Sunday morning brunch while sailing around The Hudson Harbor, returning to Weehawken at 2:00 PM, so stay tuned for more details. In-Sight from the Mouse! “The Value of a Veteran to Your Organization”! On Memorial Day Weekend, and this past Friday (D-Day) we remember and express our gratitude to those who serve in the U.S. Armed Forces. Not only do these heroes play a crucial role in protecting our nation; as Veterans, they also play a valuable role in our organizations and businesses. Disney Institute, in partnership with Heroes Work Here and The Walt Disney Company, hosted a one-day Veterans Institute workshop on November 14, 2013. More than 200 organizations, representing some of the country’s best-known brands and businesses, attended the program to learn how they can adopt best practices for attracting, hiring, and retaining Veterans in their own organizations. During the event, Bob Iger, Chairman and CEO, The Walt Disney Company, shared this sentiment: “Veterans deserve everything this country has to offer and deserve our help to get it.” So, while it’s significant that we honor these individuals during Memorial Day weekend, it’s even more important to appreciate the value that Veterans bring to our communities and organizations every day. This Week Dentistry From the ADA: …………………………………………………………………..
AAE introduces root canal safety Web page! May 19, 2014 – The American Association of Endodontists launched a new Web page that provides information about root canal safety and that debunks myths. The AAE introduced the Web page in April, during Root Canal Awareness Week. It provides endodontists, general dentists, dental media, industry partners and patients with information about the safety of endodontic treatment. The AAE root canal safety Web page includes a root canal safety fact sheet, tooth saving tips and videos that educate patients about endodontic specialists and root canal procedures. It also includes patient-focused information in an attempt to debunk myths that root canals cause cancer or other health problems. 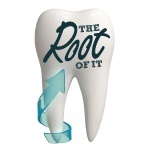 To view the AAE’s root canal safety Web page, visit www.aae.org/rootcanalsafety. 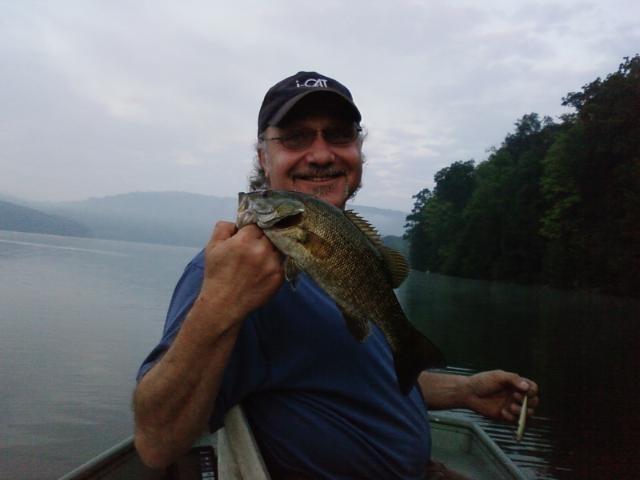 Cliff’s Tips for Today …Sunday June 8, 2014 ………………………………………………………. I can’t stress enough the subject covered in today’s “Root of It” commentary. Your computer system has become the heartbeat of your practice. As the Affordable Care Act and the NHII (EHR) begin full implementation your support network needs to protect you at the highest level. Not all IT Network groups have equal resources. Knowledge is important but ability and resources are necessary. A complete, NO COST, evaluation of your entire internal network and technology integration is available at any time. Please call me to schedule one; it is that important! No matter if you want to buy or sell, or maybe you are thinking about taking on an associate or becoming one. This 2 hour, CE accredited, session is designed for the Professional and their life partners. It’s all about ideas & tips about your future and how to get there. Look out for details!